It is FRIDAY!!! WooHoo!! 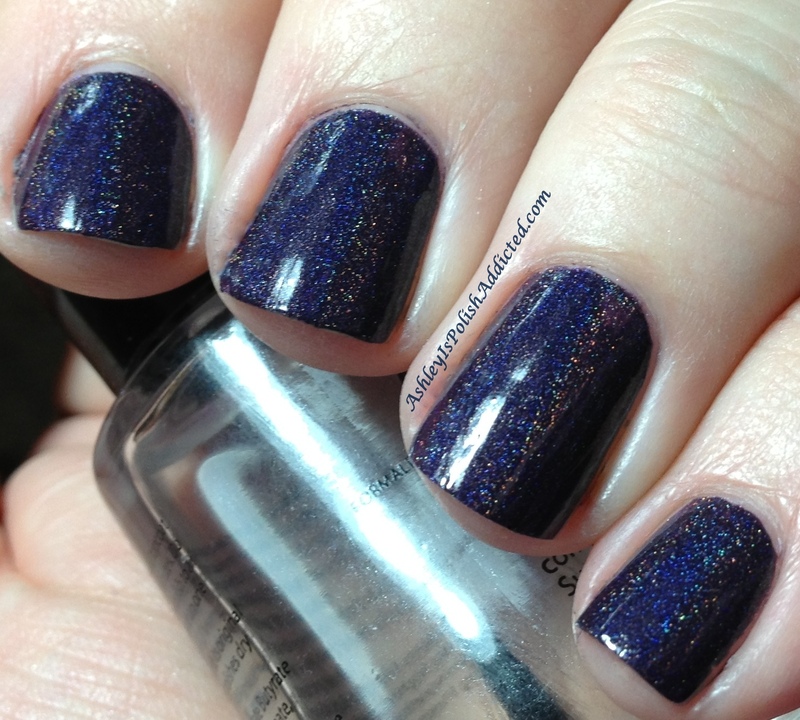 I have another beauty from Above the Curve to kick off your weekend! 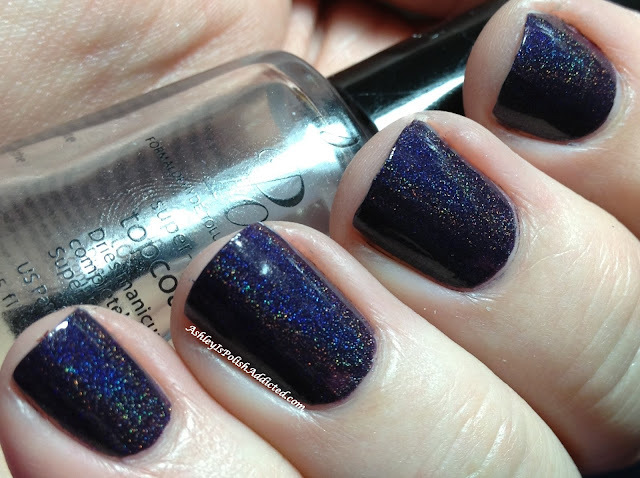 Wisteria is a gorgeous blue-toned dark purple holo with a PERFECT formula. This one was nearly a one-coater (but I did use two). Absolutely no complaints - love it. "Our Mission is to raise awareness for Shriner's Hospital's for Children and Scoliosis.I encourage you to visit these website's to learn more about them. http://www.shrinershq.org/ and http://www.scoliosis.org/"
They donate $1 from every bottle of polish sold to the Shriner's Hospital for Children. 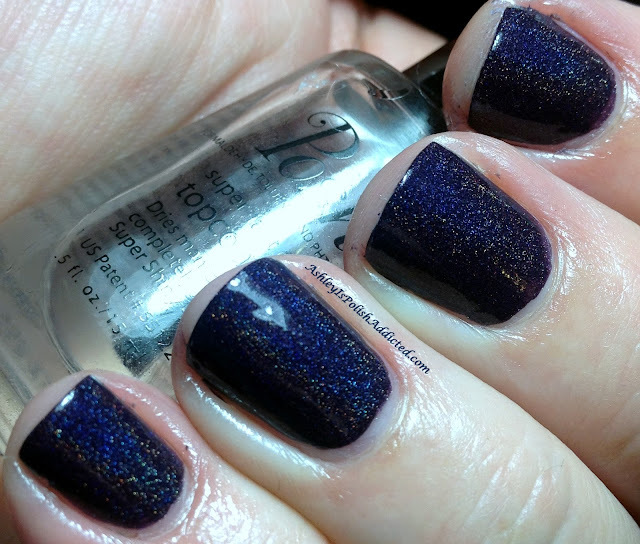 Amazing polish and a wonderful cause? It doesn't get much better than that! 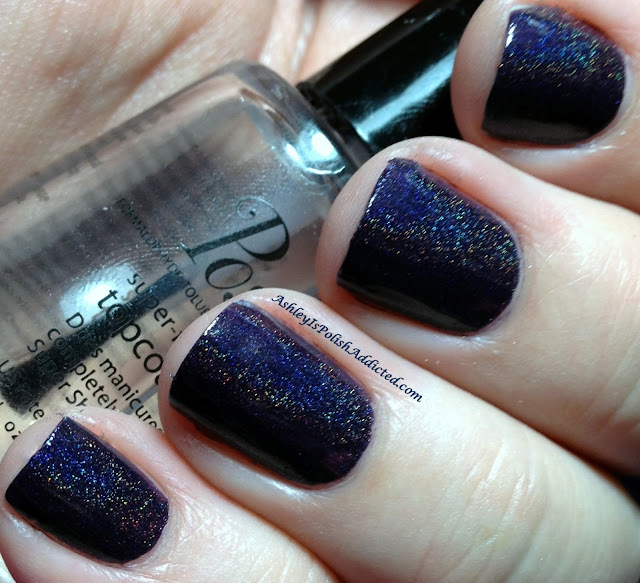 Above the Curve polishes are available on their Big Cartel shop here and their Etsy shop here. You can also follow them on Facebook here to stay up-to-date on availability, new collections, promos, etc. Full-sized bottles retail for $9.00. And don't forget the best part - $1 of every bottle sold goes to Shriner's Hospital for Children!